The other day I had to get my car serviced. I needed a simple oil change but I have been putting it off for too long. I have trouble justifying taking an entire morning off to deal with my car. So I pulled up to the shop that morning and told them I was there to service my car and get an oil change. I realized I had to use my broken Spanish to relay the message. I live in Miami so this is expected. According to the most recent Census, 58.5% of Miami-Dade County speaks Spanish. While Miami is often considered a different country than the US, it’s not just Miami any more. Spanish is huge and growing quickly. Forget just the US. More people speak Spanish in the world than English. With all this in mind, Bob told me he was thinking maybe our book should be translated. If people were buying our book in English why wouldn’t there be demand in Spanish. I wasn’t able to write that title without using Google Translation. Bob checked it also. So I decided we needed to make this happen. I was ready to offer our book in Spanish Translation. I remembered that a friend of mine told me about someone he had gone to school with. 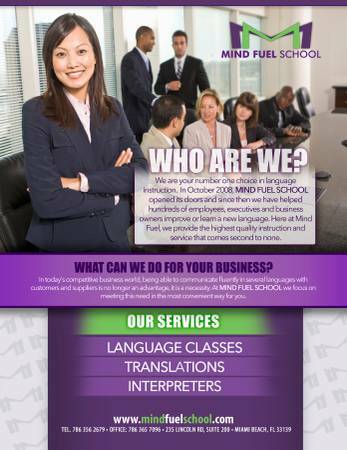 They had started a company offering translations online. 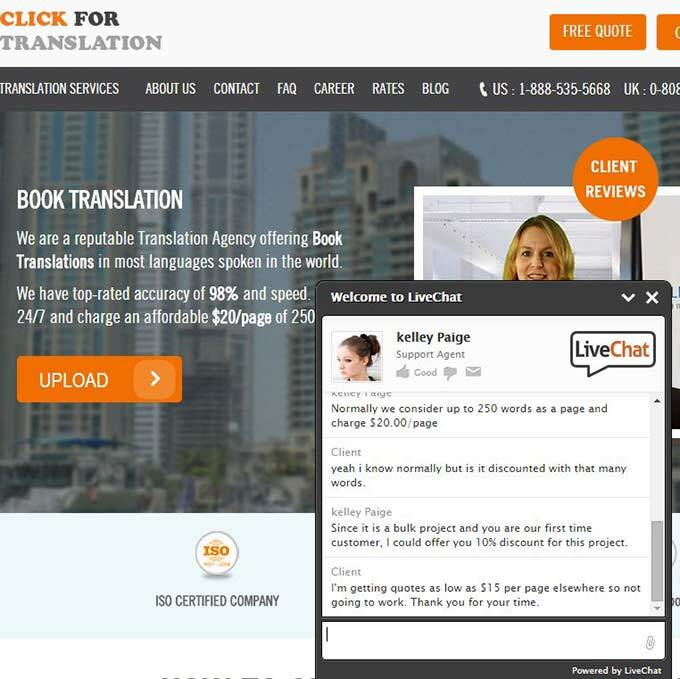 You would submit your documents and within 24 hours they turned around a translated version. 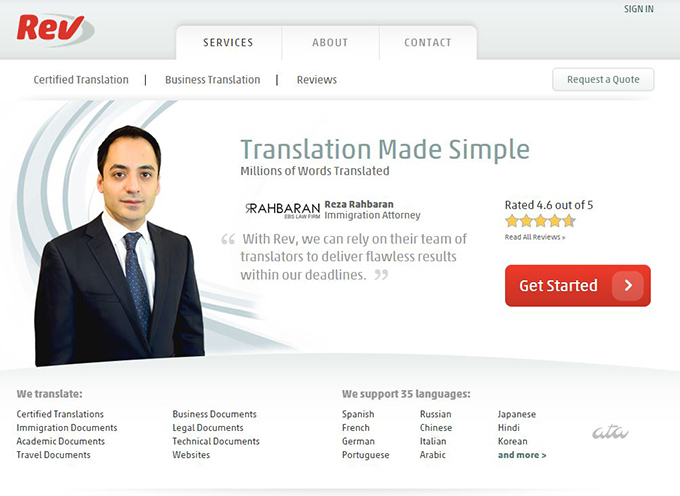 They offered this translation service in about 20 languages. I was fascinated by the business when he told me. They were a network of independent contractors. They would be paid a lower rate than what the service was being sold for. They would translate books or other docs from their house and upload them to site for delivery to the client. 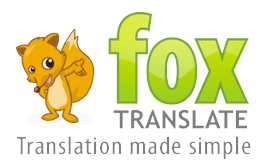 I remember the company was called Fox Translate. I loved their name and their original logo. Here is their original logo and look. This goes along exactly with what I talk about in our book and briefly in my post about choosing a domain name for your business. The name was memorable and catchy. Unfortunately they have rebranded now and gone corporate. Rev is the new name The site is boring and completely unmemorable. I quickly realized that this wasn’t going to be a cheap exercise. I wanted a 31,000 word book in Spanish translation. I knew it wasn’t a small feat but I’m not sure we could justify spending what they wanted. Now I’m not saying it’s an unreasonable price. I’m just saying that its an expensive test for us. 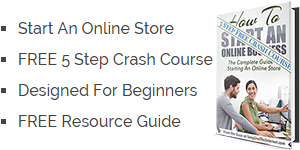 At $3100 we have to sell a lot of Spanish versions of our Starting an Online Business Book. I spent some further time searching for other companies. Maybe Fox or Rev had gone corporate and their prices reflected this. Surely there are cheaper providers. I spent the next 20 minutes or so looking at other sites. 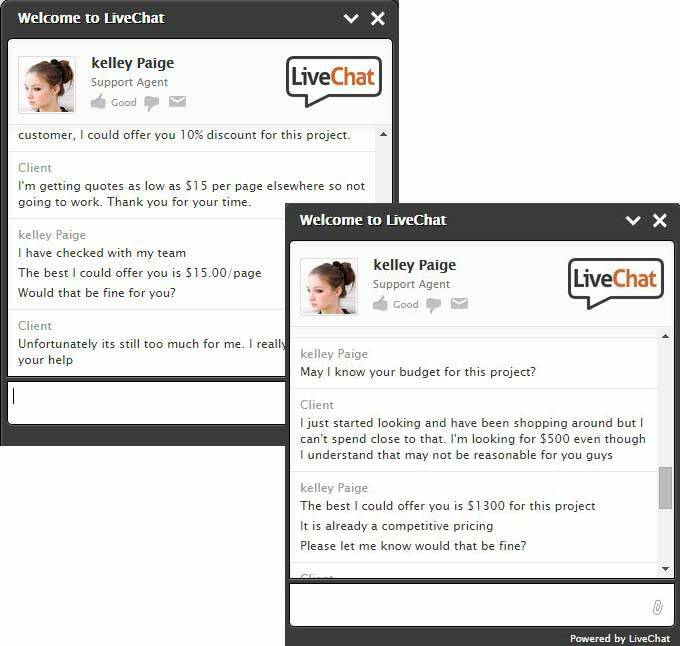 From there I tried to negotiate through live chat to get a realistic rate. I wasn’t sure how much we wanted to pay. I just knew that I didn’t want to spend thousands. The most expensive of them. Their business logo design looked unprofessional, which I felt boded well for a fair price. They were pretty good and we went back and forth a couple of times. Even at the final $1300 I negotiated, I couldn’t justify spending that much on the translation. This is a hunch after all. There is no reason that Spanish speakers wouldn’t be interested in our book. But it was a hunch. And $1300 is a lot to throw at a hunch. Bob mentioned that we should try Craigslist. Why not try Craigslist. 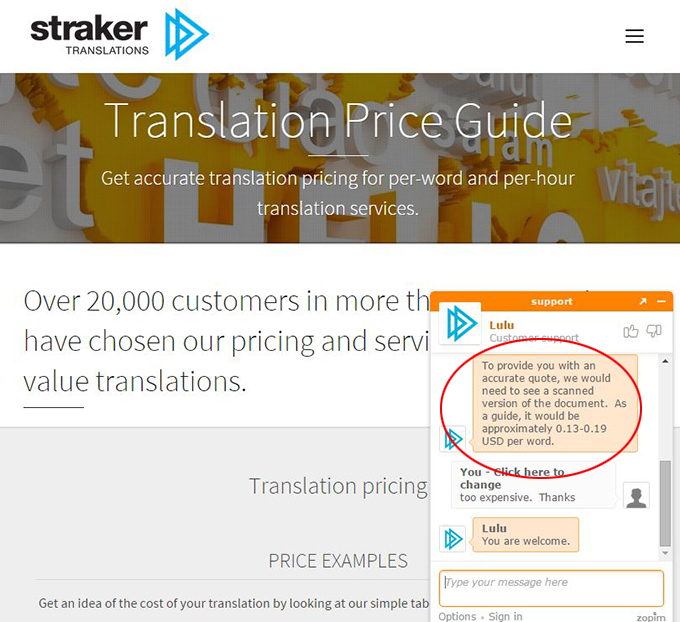 I searched for translation services and sure enough it was loaded with them. I clicked through some underwhelming pitches and emailed them. I wasn’t feeling warm and fuzzy about them. I figured I could at least get a range of pricing to know what I’m looking at. Yes “Miami” is an adjective now. Stellar pitch they gave huh? I found one on Craigs List from a local translation company that was actually a couple of blocks from us. This sounded promising. Additionally their post looked a little more professional. This was the local company. At least it looked like they cared. I’m still waiting to hear back from them three days later. Didn’t look like Craigs List was a viable option for us to translate our book to Spanish. It didn’t work this time but it worked for my wifes simple thank you note project. I have written about Elance many times. We use the site often to get odd jobs done here and there. It works for some things and not as well for others. I decided I would post a job, which is free, and see what I got. Here is my job posting for Spanish Translation Book services. I clicked to invite some people to the job. Within an hour I had over a dozen proposals to get our book in Spanish translation. I was amazed. The good news is that they ranged in price between $200 – $900. All substantially less than the sites I was looking at before. I was inundated with Translation Quotes for our Book in no time. I resorted the proposals by Elance experience to filter out the newbies. 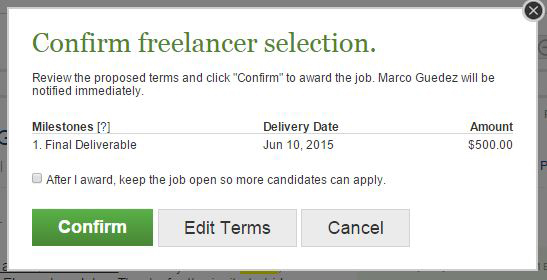 One of the people I had invited to the job was Marco. He had instantly responded by email when I initially invited him. He said that he was putting together a proposal before submitting it. Twenty minutes later he delivered on his promise. I like that. His initial proposal came in at $650. 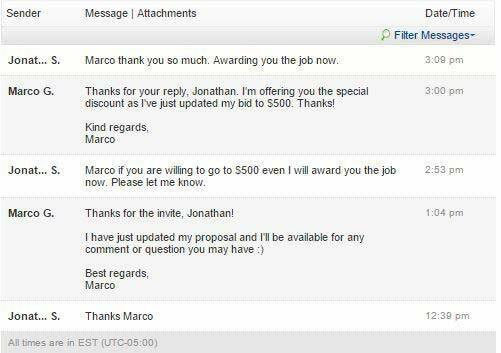 I decided I would ask him to go to $500 and told him I would award the job immediately if he agreed. Bob and I kind of felt this was the number we were comfortable with. There was no real logic to it, it just felt acceptable to us. He agreed to the price and I awarded him the Job. 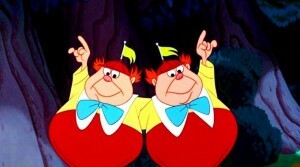 Hooray..
– So we were ready to go right? – I can just send him our book right? – Lets just send it and get our Book in Spanish Translation. Like I said we have been using freelancers for a long time. One of the things you absolutely must do is protect yourself. Whether you are having someone write blog posts for your online store or basic design work, put it on paper. The last thing you want is for someone coming back to you later and claiming they own the property. They may claim they are somehow entitled to royalties or licensing fees. Besides ownership, you want to be able to do with it as you please. Some designers aren’t cool with that. But I’m not cool with them then? Get it out in the open, up front. 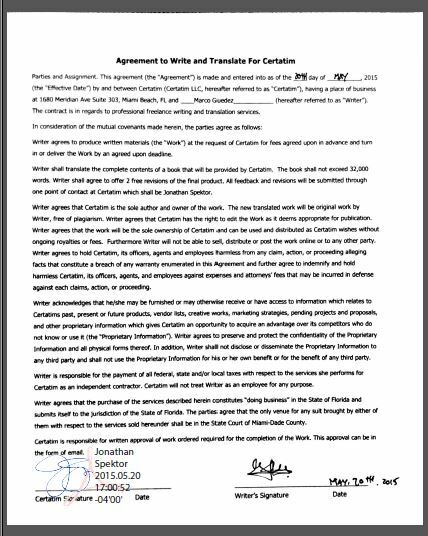 I had Marco sign an agreement that you are free to use if you want. This was modified for translation services and you may want to consult an attorney. I’m completely unqualified to write your document or advise you to use it. As you did with your book when you first released it, you proofread. But what do you do if you have a book in Spanish Translation. Like me, I’m unable to proof it. I speak enough to understand Spanish but reading is a different ball game. You need to make sure its grammatically correct and acceptable to sell. You can head back to Elance and post a job for proofreading. I was able to find tons of great proofreaders and at a fraction of the cost of actually translating the book. Once you have it proofread, you can make the changes needed. 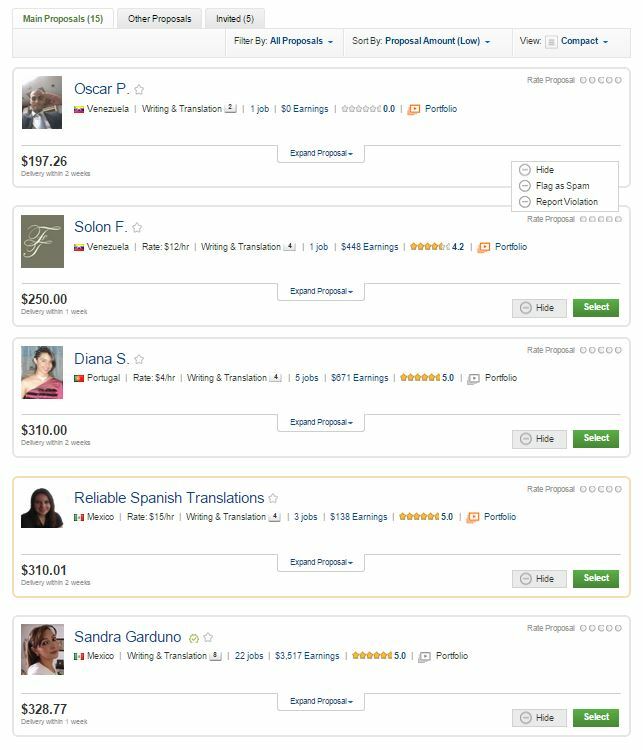 Now that you have your book in Spanish translation, you want to pursue different revenue streams. 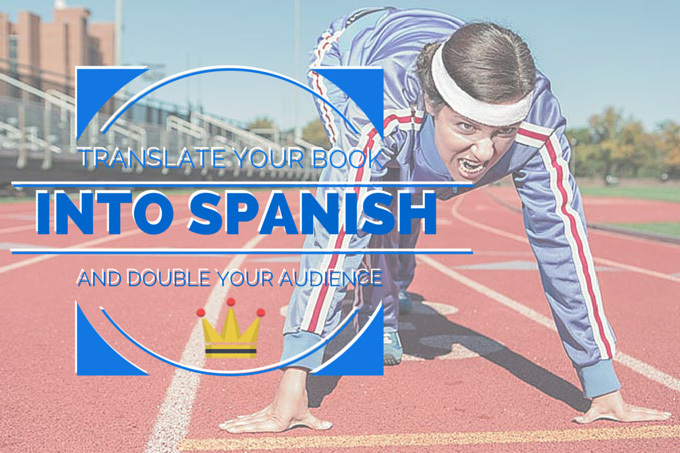 If you are selling your book through your site, consider making a Spanish landing page. Maybe you even have a Spanish email funnel created to offer your readers a Spanish version of your introductory information. On Amazon if you are selling your book there, they have entire categories for Spanish books. 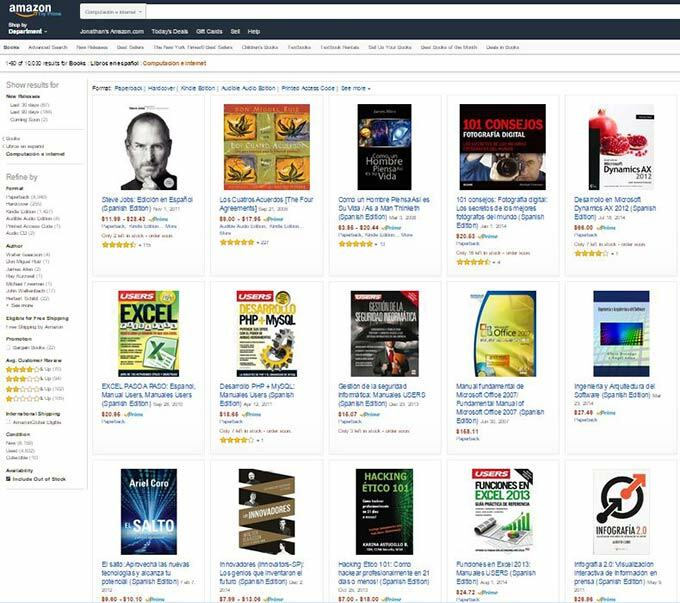 Make sure you are listing your book specifically in the Spanish Books Category on Amazon. You don’t want your book listed with the English books and just having a (Spanish) in the title. It will never be found. As I had mentioned you want to categorize your book appropriately in the Libros en Espanol section. But there is a trick. When you are selecting the categories on KDP, you will see that not all categories are shown. This is a little secret that not many people know. It took me quite a while to figure out but now I will share it with you. In order to have your book categorized in these spanish categories you have to manually request it. 1. Go to https://kdp.amazon.com and log in. 2. Click on the picture of your book. Body: Can you please categorize my book in the following categories. I’m unable to select them manually from the list. Note you must submit your book ASIN number when making the request. This is assigned by Amazon and found on your product page underneath your book in the Product Details section. Within 24 hours I received a lovely email from KDP support about categorizing my book in spanish translation. Thank you for contacting Amazon Kindle Direct Publishing. I hope this e-mail finds you well. I’d be more than glad to assist you today. You’ll see these changes on the Amazon website within 72 hours. To provide customers with an optimal search experience, we allow only two categories per book. You can add or remove categories on the “Your Book” page in your KDP Account. I hope this helps. Thanks for using Amazon KDP. So as I finish this post I am anxiously awaiting our translated version back. To me there is no better thing that creating an additional revenue stream from a product or service that has already been created. Its like squeezing the last bit of profit from a transaction. If you haven’t ready my post on the simple online store upsell technique, its worth a read. Sign up now to get our list of 50 secret resources we have used to make over $1,000,000 Dollars online. We feel ridiculous saying it, but its true. The good news is, it is not that hard and is actually fun most of the time. We want to share everything we have learned along the way. We never share your email address! If you are not entertained you can unsubscribe at any time. Hola Does Anyone Speak Spanish and Buy Books on Amazon?